Eliminate at least one meal per day during the 21 days. 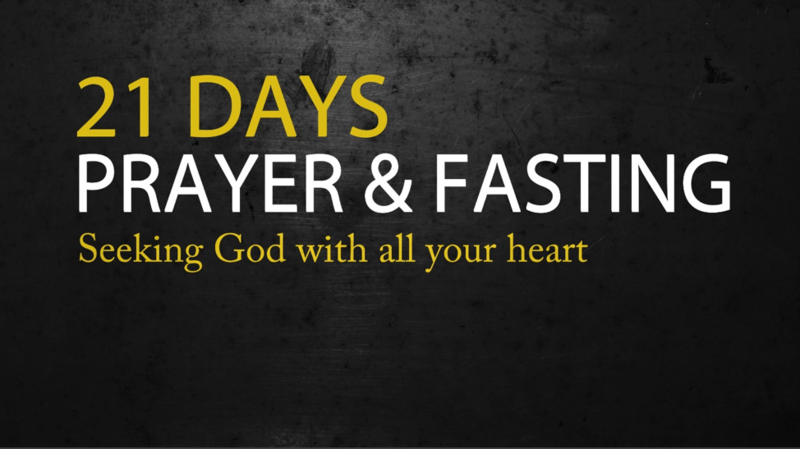 Each Wednesday (7, 14, 21) make it an all-day fast. If you're unable to eliminate meals for some reason - there are other things you can fast from like TV or social media. I believe that God is going to do a deep work in us as individuals and as a church during this time. Get ready for what He might have for you! Below are some resources for you to consider. Let's seek God together during this time!